This reminder, after many years, has actually managed to make me feel less excited about him. Well, that, and the fact that he’s traded in the acoustic guitar for an electric one and formed a band. Don’t get me wrong, I LOOOOOVE bands and dudes who play electric guitars. Like, a whooooole lot. So much. But when Coulton performed at last year’s PAX with a full band and some new songs I’d never heard AND played some of the songs I know in the full band arrangement, I was disappointed. It wasn’t the Coulton show I’d grown to know and love, and those songs didn’t sound the same. Regardless, I bought his new album, Artificial Heart, this year the day it was released. How could I not? I mean, the guy is a wicked good songwriter with sharp lyrics and catchy melodies. There’s no reason for me to not continue to support him and his music. The album — it’ll grow on me, I figured. Well, it didn’t, exactly. It’s just so weird hearing HIS voice with all those instruments around it. The music sounds pretty Jonathan Coulton-y — it’s still all those things it’s always been — but it’s just so much more robust. And really, honestly, this isn’t even a bad thing. In fact, it’s pretty much the opposite of a bad thing. With a band, Coulton is less a novelty and more a real musician making actual songs that people might not think I’m weird for putting on a mixtape (I still have yet to find somebody who “gets” what “Blue Sunny Day” is doing on a Sad Songs mix). Look, I actually really like Artificial Heart. I just haven’t listened to it much. Because when I try, I inevitably move on to playing my old JoCo favorites like “Under the Pines,” “You Ruined Everything,” “My Monkey,” “First of May” and “I Feel Fantastic.” These songs I KNOW and I can sing along with them and I love them so much! And I could be that way with songs like “Nemeses” (featuring the wonderful John Roderick of The Long Winters) and “Dissolve.” Every Coulton song was new to me once, right? And not ALL of these songs are full of rock and roll instrumentation. I think it took seeing one of the album’s tunes fairly stripped-down to understand what I’ve been missing. In a new-ish music video promoting Artificial Heart, Coulton is joined by Phil Hernandez in performance of album opener “Sticking It to Myself,” trading in the full band for just a bass guitar and drum machine. And HOLYCRAP does he look good with a bass. And suddenly I love this song! I can even listen to the album version now and hear how it’s just completely the Jonathan Coulton I’ve always known and loved. Unfortunately, this means the creepy crush is back on, and I am at high risk of lurking around Bandland next year. If you see me, don’t be afraid to come up, put a stern hand on my shoulder and say, “He’s famous and married. There’s no point.” But if he’s ever divorced (which, honestly, isn’t likely, NOR nice to wish upon somebody, geez) and stops being such a freaking huge celebrity, I may just walk over to him and say “Hi.” Or blow chunks at his table. It’s a toss-up. Posted on December 4, 2011 at 8:00 am in Commentary, Videos	| RSS feed You can skip to the end and leave a reply. Ha! I relate to crushes. Heck, the entertainment industry in general wouldn’t go ’round if it weren’t for crushes. 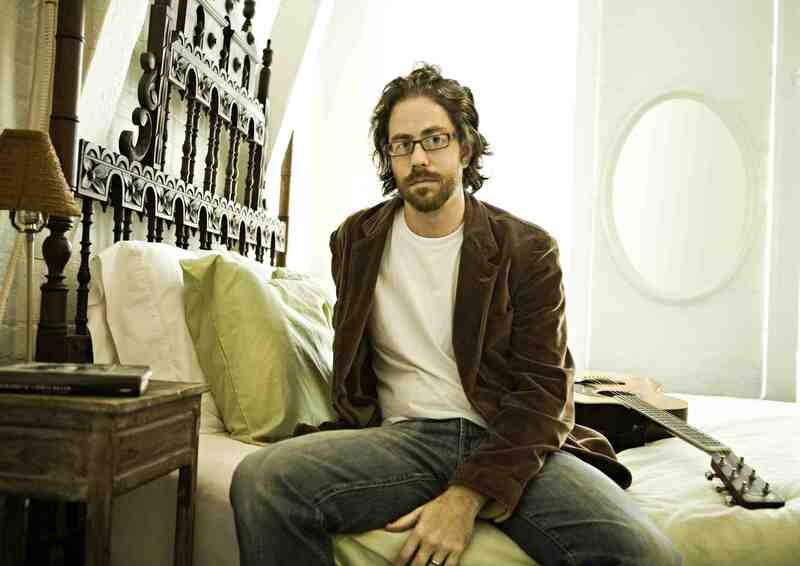 I’m just now listening to Coulton, oh, about 10 years after he put out a lot of his stuff. I also have 2 geeky ‘tween and teen sons, so they love the songs, too. And I have a thing for men who can sing, so it’s good all around. Just put him on my very, very large pile of crushes I guess!